Look at the green EV certificate writing in your browser if you read this article. That’s the problem Ian’s writing about here. A look at an academic paper that shows off a hard-to-detect type of DDoS attack that can push ‘tail latency’ high on classic multi-tier webapps. A great Stack Overflow answer that digs into the differences between Mesos and Kubernetes. 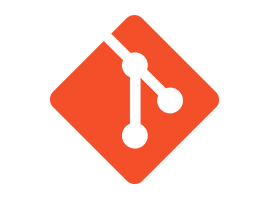 Have you been using the same git commands for years? Here we take a look at five git tips you can seamlessly incorporate into your workflow to make it easier to get your code into production. A powerful REST API Client with cookie management, environment variables, code generation, and auth. Open source, too. An overview of microservices and data pipelines, explaining how both systems reflect the organizations and people that build them. Not yet fully implemented, headers relating to Client Hints and Server Timing show promise. Not quite as simple as pressing play and having the video stream in over S3… but a neat look at Netflix’s overall architecture. Essentially private network traffic will be isolated by account/team. An accessible look at some of the math behind what keeps the Web secure. A basic introduction to Containerd and how it works with Docker, Kubernetes CRI, etc. Running a VM within another VM unlocks options for apps that mix + match containers & VMs. An overview of GoCD and Spinnaker, why they are different from each other and which problems you should use them to solve. Ha! And the final sentence is just perfect..